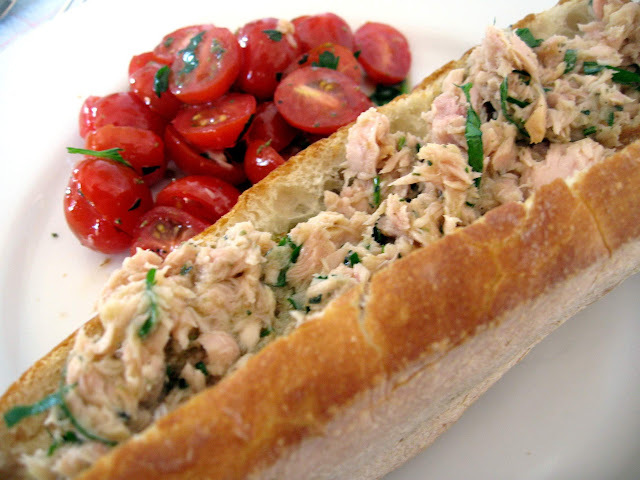 As many of you know we keep plenty of high quality tuna in olive oil in our Italian pantryat all times! And we usually prepare our tuna in two ways: 1. as a stand alone salad to be consumed with olives, cheese, and salumi or 2. as a simple Italian tuna sandwich combined with high quality bread. 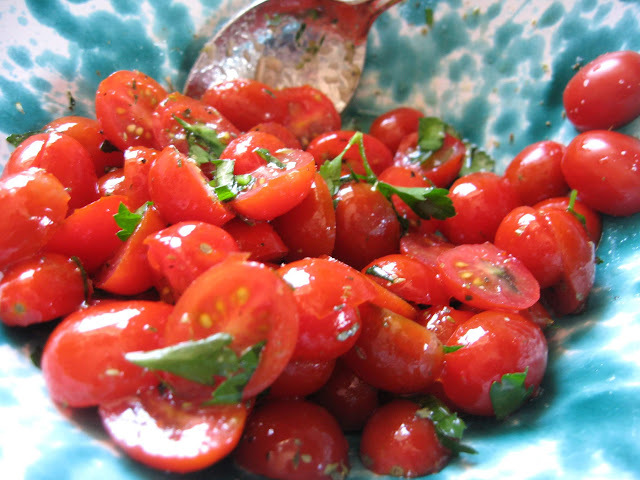 Our Italian tuna salad is very easy to prepare as you can tell from the single sentence above and pairs well with a tomato salad. We used a Balthazar baguette for our bread and organic Pace da Poggio Etrusco extra virgin olive oil from a 15 acre olive farm near Montepulciano, Italy (Siena). 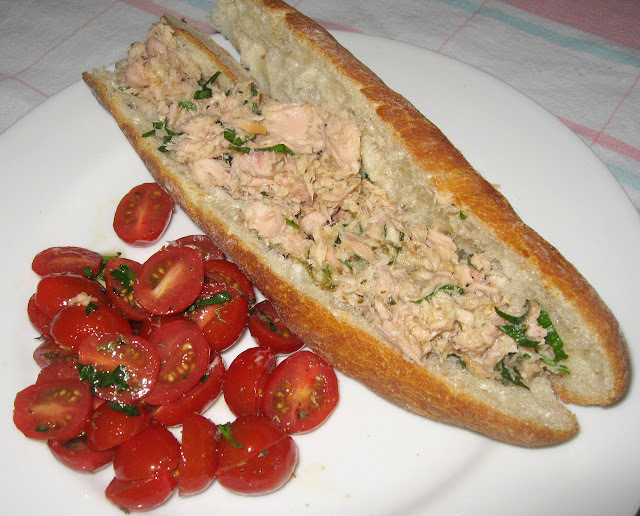 wow, Thanks for this new take on the trusted tuna sandwich..I too am used to the typical blend with mayo,green onion maybe spice it up with some hot pepper flakes..I like the sounds of your recipe and for sure will try this out..Thanks for sharing your awesome recipes..I am a huge fan..